Risotto is one of those dishes I have once in a blue moon but whenever I do I absolutely love it. It's filling without being really heavy and you can change up the ingredients but use the same base recipe every time. 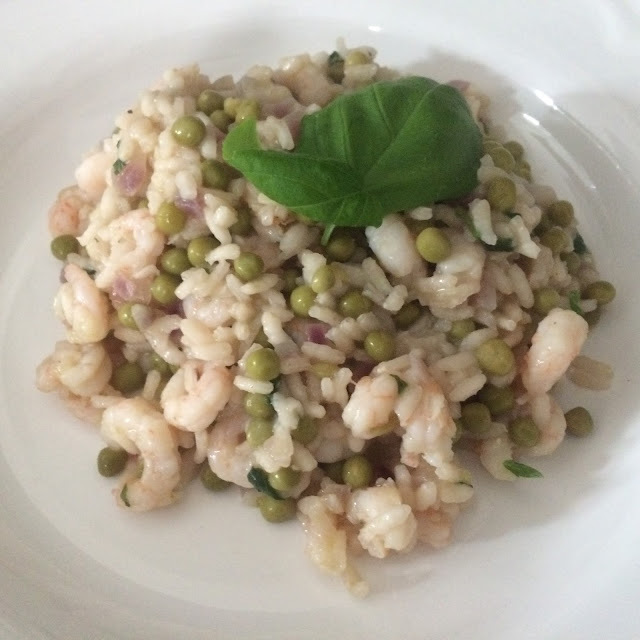 Many risotto recipes involve white wine but I find that it isn't 100% necessary and sometimes the flavour really changes the dish. So my base risotto recipe never involves wine. 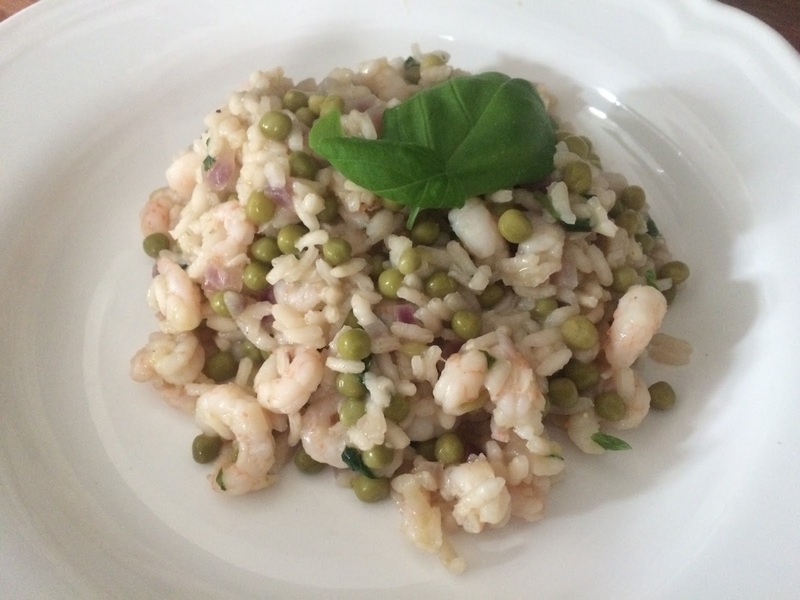 I hadn't even planned for a risotto this week but had a bag of defrosted prawns to use up and my boyfriend decided a risotto was necessary. I'm grateful he suggested it really because this dish is one of the only ones I've made recently that I've thoroughly enjoyed. 1. First things first, grab a large and fairly deep frying pan. I actually used a wok as I find it works well. Heat a tablespoon of EVOO on a medium to low heat and add your diced onions. Leave on the medium heat for around a minute, stirring the onions to coat in oil before turning down to a low heat. Add the crushed garlic and stir again. 2. Allow the onions to soften but not brown for around 5-7 minutes before adding the risotto rice. Stir the rice around for a minute or two before adding half a pint of stock. 3. Most recipes say that risotto rice takes around 15 minutes to cook but I always find it takes at least half an hour for the rice to soften properly. The rice will soak up the liquid fairly quickly so when it does this, add the rest of your stock. 4. Add your lemon juice and basil leaves. Stir the juice and herbs in before adding your seasoning. 5. If your rice still isn't soft but the liquid has all been soaked up, feel free to keep adding 100-150ml a couple of times. Add your prawns and stir. 6. The prawns should only take around 4-5 minutes to heat through. After a few minutes, add the peas and stir. Add more seasoning if required. 7. Test your rice and if it feels soft, you can now dish up. I usually put a couple of basil leaves on top for decoration and serve a few lemon wedges in a bowl as I find more lemon is better. A simple recipe with a small number of ingredients but a fantastic taste. This recipe is also really versatile as you can replace the prawns and peas for something completely different. My favourite risotto is this Haddock and Leek recipe that I made a long time ago.